I met Trevor Tsegelke a couple years back while I was manning our show table at a local Fly Shop in Sacramento CA. He and his wife stopped by and introduced themselves. Little did I know that now a couple years later Trevor has helped us at numerous Fly Fishing Shows and has become a good local buddy now that I can share my tenkara excursions with. Met Mike Willis this year and he was gratious enough to offer his time and services helping us at a couple Fly Fishing Shows. Now just months later he created a new Facebook group and all of a sudden, we are fishing together. Mike has been the stimulus in getting this little group started and appreciate his enthusiam in making this all happen. Mike getting his tenkara on. Showing us how it is done. He loves his Yamame. Been meeting JD Smith at Fly Fishing Shows now for a couple years. Always nice to see him at the Pleasanton Fly Fishing Show and was a real treat to fish with him. He has been around tenkara long enough that he knows my story and is really cool to finally fish with him. 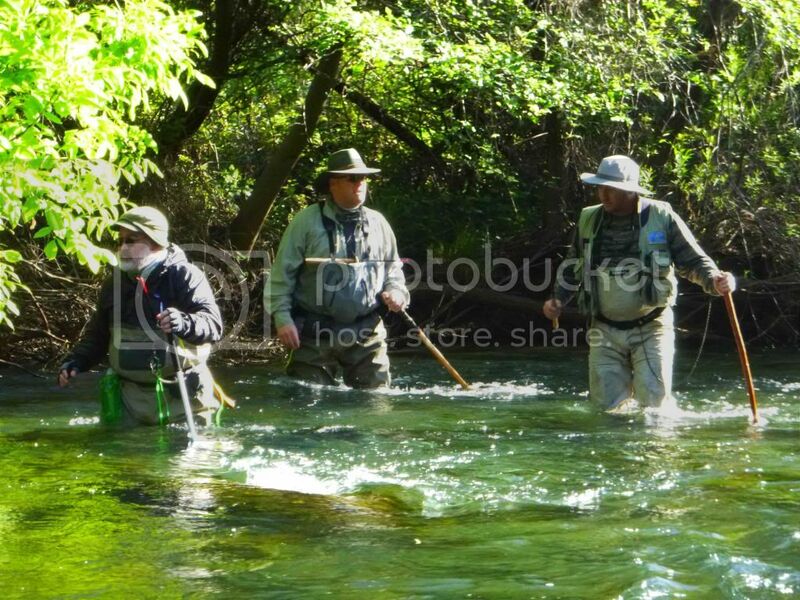 Mike, Trevor, and JD had already fished before at Putah Creek in California but I was invited to come play tenkara since I was finally finished with all the trade shows that have consumed most all us Tenkara USA employees time since Jan 1st. Really glad I was able to make it and lets tell a short story in pictures how the day went. 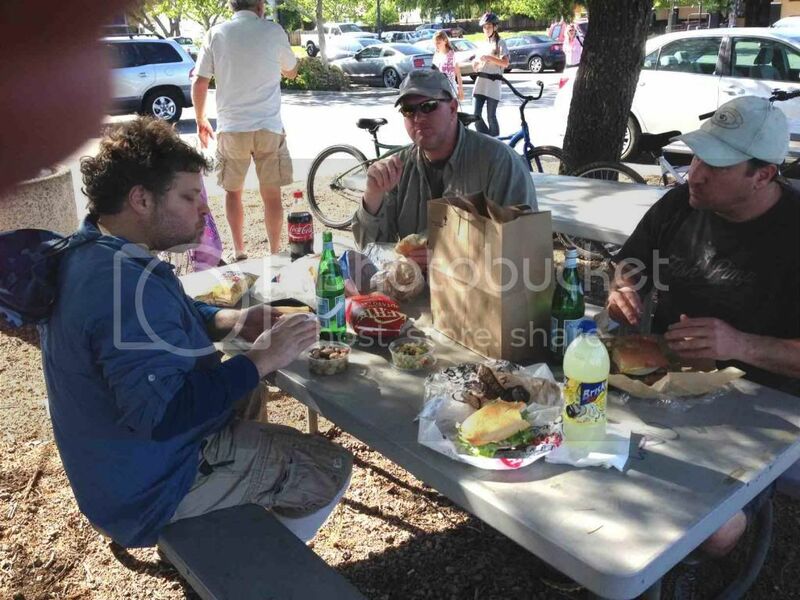 By the way…Mike Willis took many of these pictures and really captured the day we all had. Hopefully Mike, Trevor, and JD all post their thoughts on the day too. It was tons of fun and I can’t wait to fish again with them again. JD caught a real nice big trout! If you have not already found local tenkara folks near you, well get off your rump and do so. They are out there but it takes a little push to get the balling rolling to get yourself fishing with them. 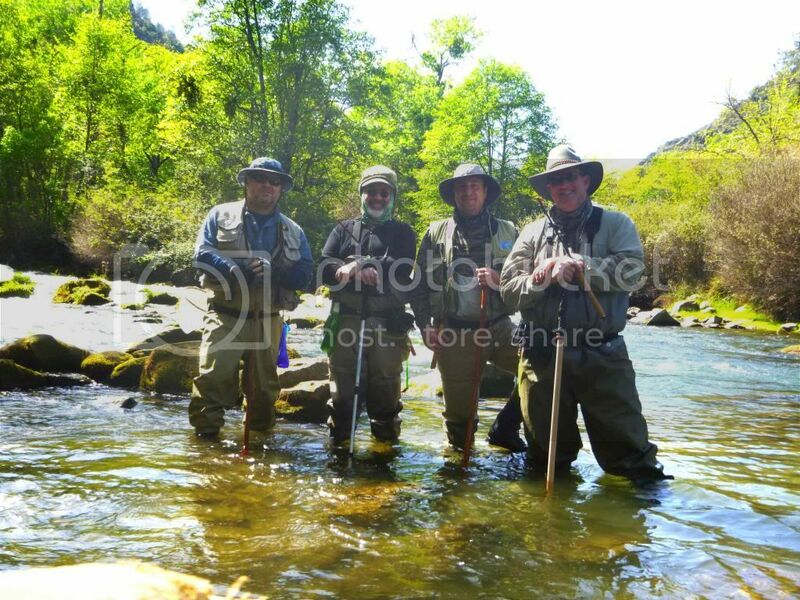 I promise you will not regret meeting some of the coolest people on the planet and they share the same passion as you do for tenkara fly fishing. Now get out their and create your own little tenkara story. 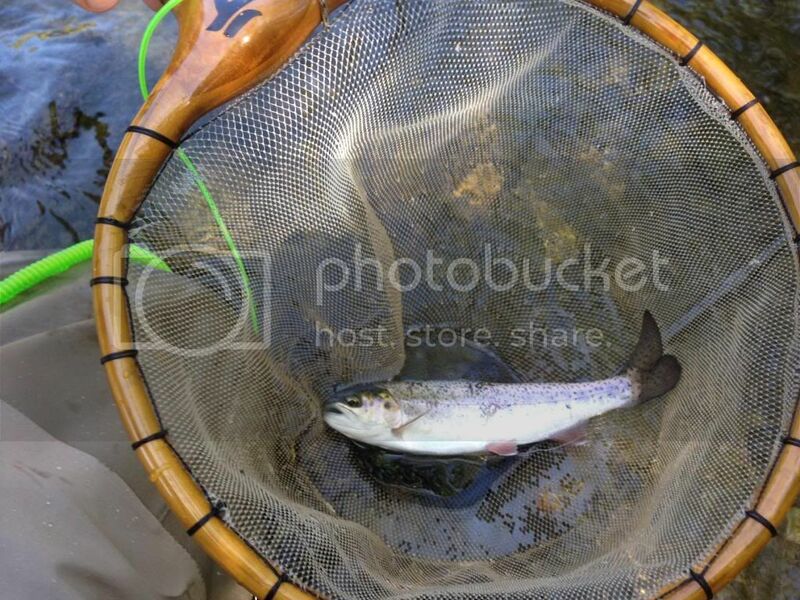 Make sure to visit our forums at https://www.tenkarausa.com/forum and post your stories and pictures there. We want to see how great of a time all you tenkara folks are having and a few words and a few pictures sure goes a very long way spreading the joys of tenkara. This sure looks like Lord Of The Rings but in waders. On our merry adventure! We all fished together most the day taking turns and cheering each other on. 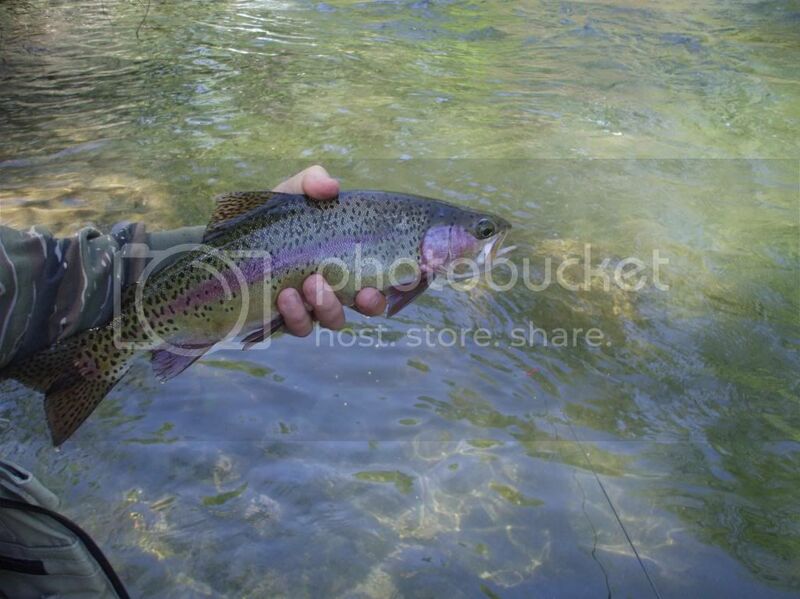 Trout come in all sizes. 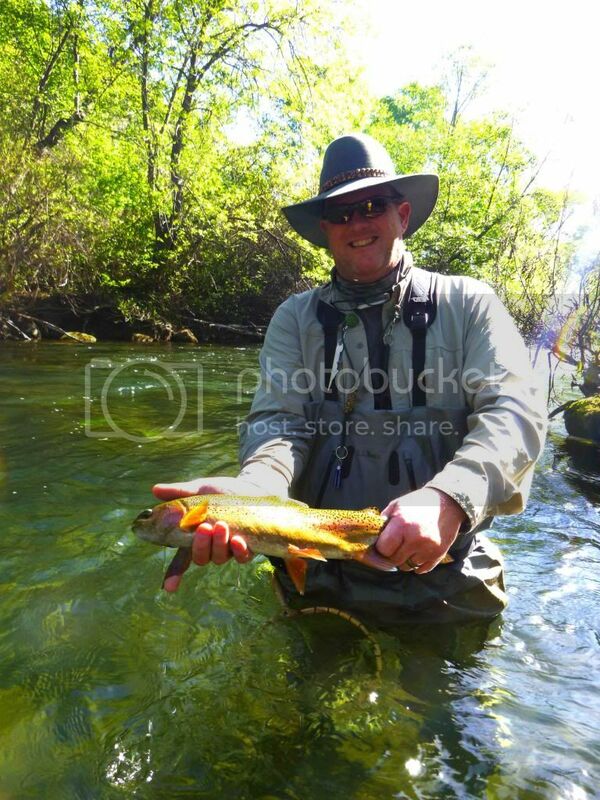 Even the smaller ones are tons of fun on tenkara. Eating like Hobbits, Dwarves, and even Orcs. We were hungry after long day of tenkara action. “Lord of the Rings with waders”, love that. Nice trip, TJ. I don’t fish with groups much here, maybe I need to round up the posse. it was a great time, indeed. the only drag was davidhe not making it out. it’s great that he’ll be with us at the walker. i second what you have to say about getting a group together, tj. i mountain biked for many years. just like fishing, i enjoyed going out alone. at the same time, many of my favorite memories are of a gang of guys getting out somewhere to tear it up. now that i’m older and brokener, and cannot shred the hills as i once did. i started tenkara angling by myself about a year ago, and it was really fun; however, finding a group of freakin’ cool, like-minded gents to chase some fish with has stoked me out in a big way. tj is right on this (the force is strong with him), there are folks right next door that need a reason to get out and do some stuff. maybe that person is you. like the rod-bearer said, you won’t regret it. Good story. And good on ya for being able to remember who you went fishing with. TJ remembers who was there, what they did and the title of a great series of stories. 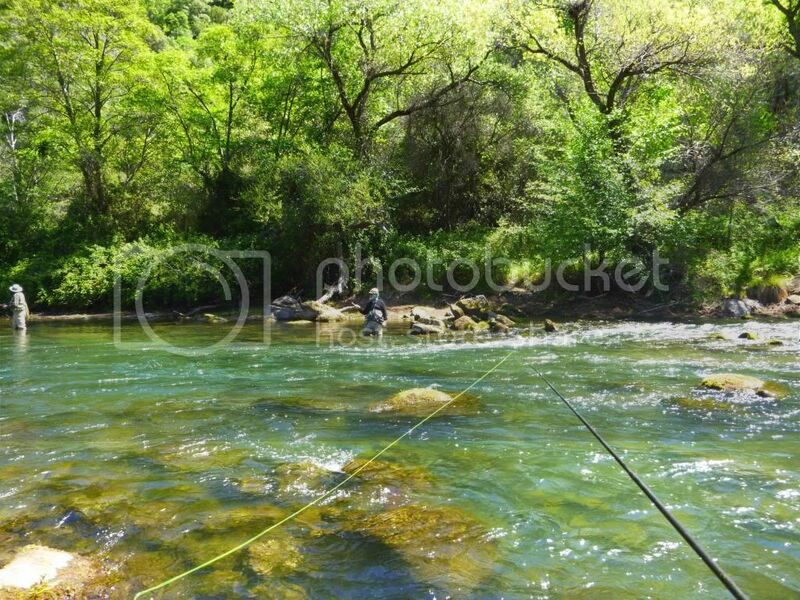 I am so excited to hang out and fish with everyone for the season opener. I agree, Tenkara fishing is great by myself (there is time that is exactly what I need), but usually it’s done best, and safest with a great friend or group. 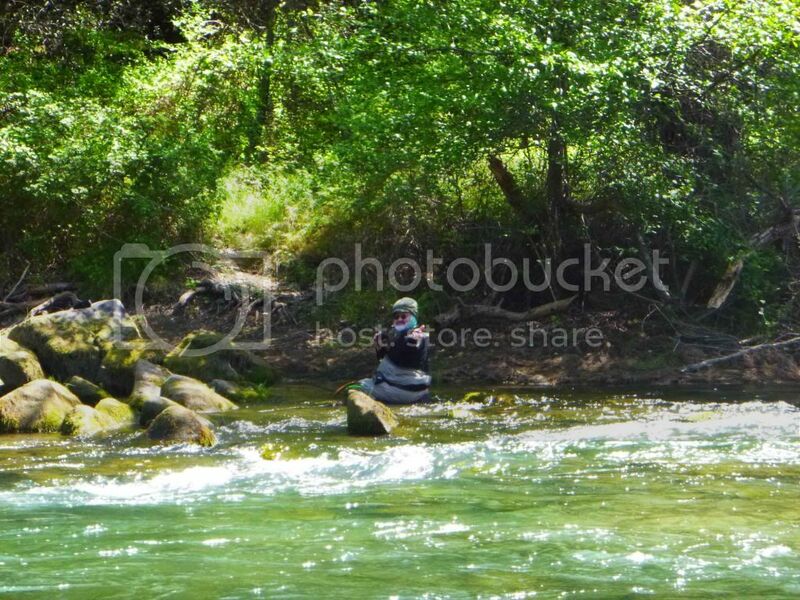 See everyone on the rivers soon. I’ve had great times fishing with you guys these last few outings. So I can echo everything that has already been said by our group. Fishing alone is such an amazing experience. To be alone with no agenda and no time other than daytime and nighttime. But fishing with a great group of friends like you guys is what makes for some memorable events, burned into our memories of time. Sharing techniques, kebari, or a couple of cool ones at the end of the day, and to tell a bunch of lies. Haha Good times! Seriously looking forward to the Walker.